A: You may submit your Purchase Order at sales@safetysys.com or via FAX at +1-949-340-6643. If you received a quote from us, kindly reference the quote number on your PO. Our office will e-mail you your Order Confirmation along with the expected shipment date. Q: Do I have to purchase from a local Distributor? A: No. You may purchase from a local distributor or order direct from our worldwide distribution center in the USA. Our local distributors work with our office to accommodate specific purchasing requirements. Q: Where can I find the instruction manual for the product I just purchased? A: Instruction manuals are available right from our website. Each product page has links to downloadable instruction manuals. 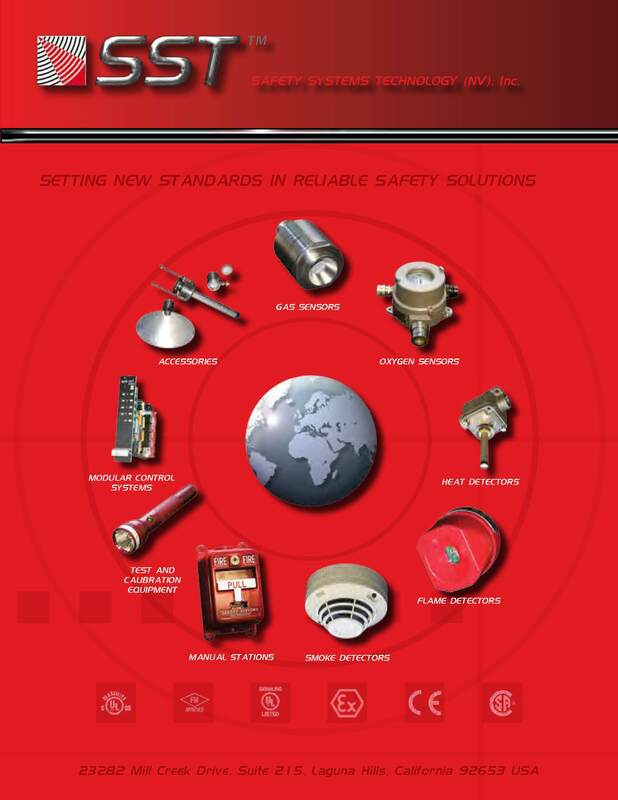 You may also e-mail us at techalert@safetysys.com and we will e-mail a copy to you. A: Yes, we accept all major credit cards for domestic orders. We only accept telegraphic transfers on all international orders. Q: Is there an e-mail address I can send a quote request to? A: Yes, please send all quote requests to sales@safetysys.com including all documentation. We respond to all requests within 24 hours. Q: Where can I inquire about becoming a distributor for SST? A: All inquiries can be sent to sales@safetysys.com or by calling 1-949-583-1857. We respond to all inquiries within 24 hours. Q: Who do I contact to request a repair or replacement of my equipment? A: You may call us directly to request an RMA number and send your equipment to our corporate headquarters. Q: How do I order spare parts? A: You may submit your Purchase Order at sales@safetysys.com or via FAX at +1-949-340-6643. Questions about our products can be directed to our Technical Support Care Team. Safety Systems Technology, established in 1988, is a world class engineering and manufacturing company headquartered in Southern California and has a worldwide distribution network.